Green Slime Soft Vinyl Alien! Super7 and Secret Base have created a new specimen of Xenomorph, the Green Slime Alien soft vinyl figure! 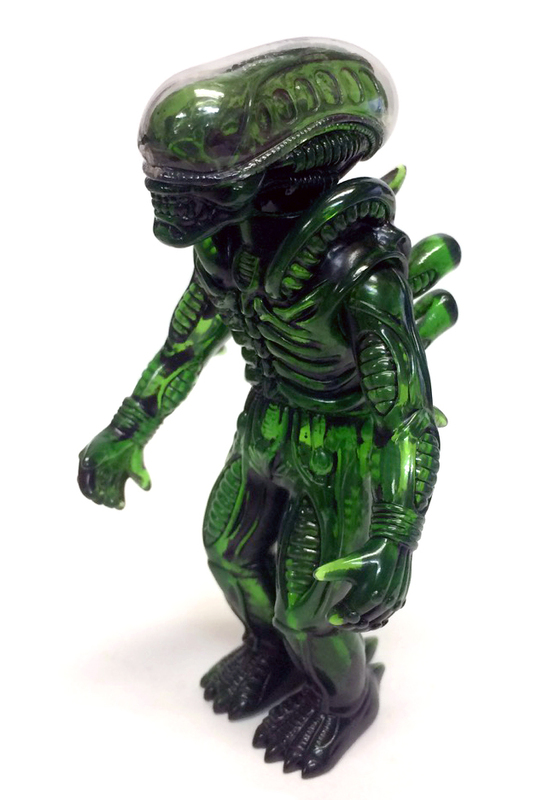 Cast in translucent green vinyl with black paint rub, the terrifying 4″ tall Alien creature will reach Earth this Friday, March 20, at 12 Noon PST.